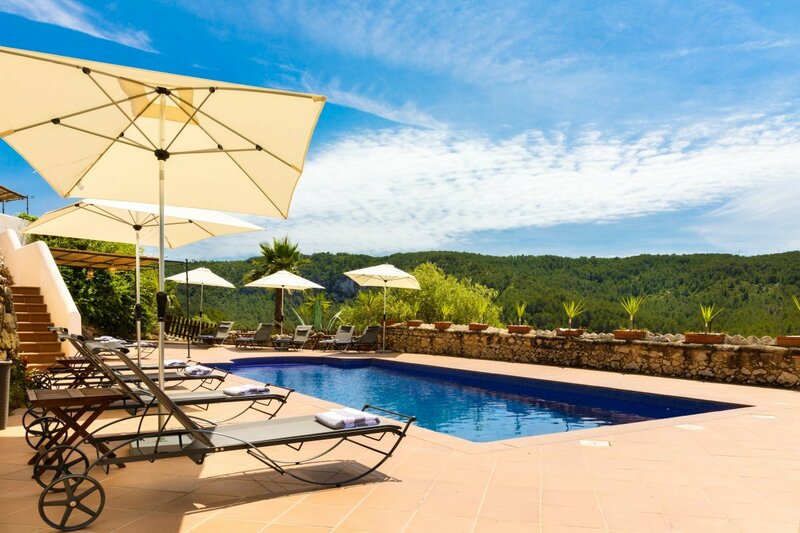 Can Marcer de la Penya, Sitges, Catalonia, Spain, sleeps 16-25 in 10 bedrooms. 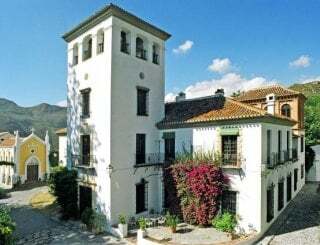 Welcome to Can Marcer de la Penya, a 17th century country house that once produced 140,000 litres of wine a year. It has been restored to a high standard, but with care to maintain much of its original character. This is a wonderful venue for a large family holiday, get together with friends, or why not come here to celebrate a special birthday or other occasion. 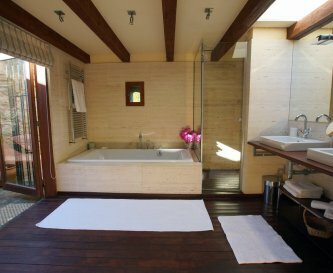 The rooms are beautiful and unique, many with their original wooden beams and floor tiles, and the house is very well equipped and comfortable. Outside is a large terrace that runs the length of the villa with wooden garden tables and chairs for outside dining, served by a large barbecue area. 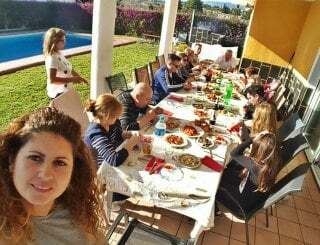 From here you can enjoy the views of the Garraf Natural Park and the sea, and the many delights of Barcelona and its surroundings are just a short drive away. There is also a lawned Pavillion garden which is perfect for wedding ceremonies or a great space with marvellous views for outside dining for special celebrations. The private swimming pool features sun loungers, umbrellas and wide steps. The pool can be heated and the entrance fenced off making it wonderful for children. Located in the town of St Pere de Ribes, Can Marcer de la Penya is just 30 minutes from Barcelona and 2.5 miles from a wide range of restaurants and bars in Sitges, as well as fantastic beaches. There's great cycling and walking in the Natural Park nearby, and plenty to do locally to keep all members of your group entertained. For weddings and other events there is a maximum of 40 guests – please enquire about our exclusive celebrations services. Two well-equipped kitchens with breakfast seating, dishwashers, gas cookers and large fridge/freezers. Two dining rooms inside. Beautiful arched dining area seats up to 25 guests. Dining terrace outside overlooks the natural park and sea and seats 25. Two comfortable large sitting rooms with DVD players, satellite TV, iPod docking station and large sound system. Two flat-screen TVs with satellite channels and DVD players, as well as an iPod docking station and large sound system. Mobile reception in most of property. WiFi included for emails and casual browsing. Pool table, table tennis and two sofas. Heating available, standing and large, quiet ceiling fans provided. Aircon in 4 bedrooms and kitchen/dining room. 10 bedrooms. 5 king/queen-sized beds and 17 single beds. Single beds can be made up as doubles or singles. Linen and bath towels provided. Swimming pool towels also provided. 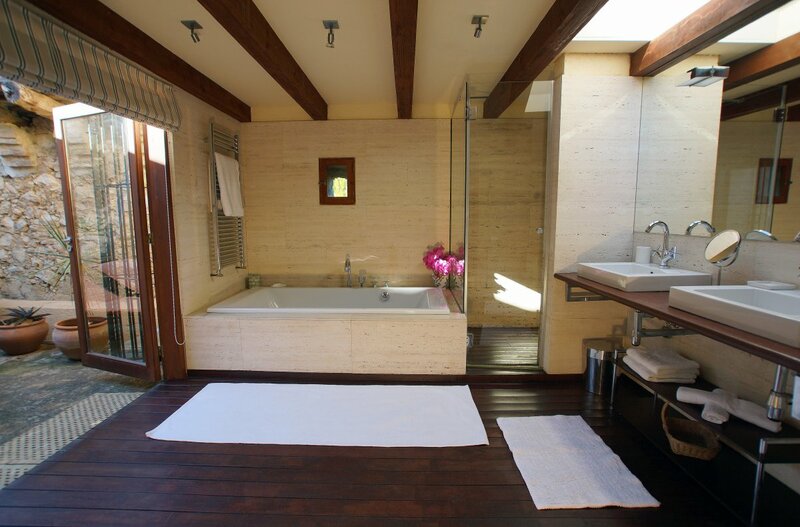 9 bathrooms - all with showers except Montserrat Bedroom which also has a bath. 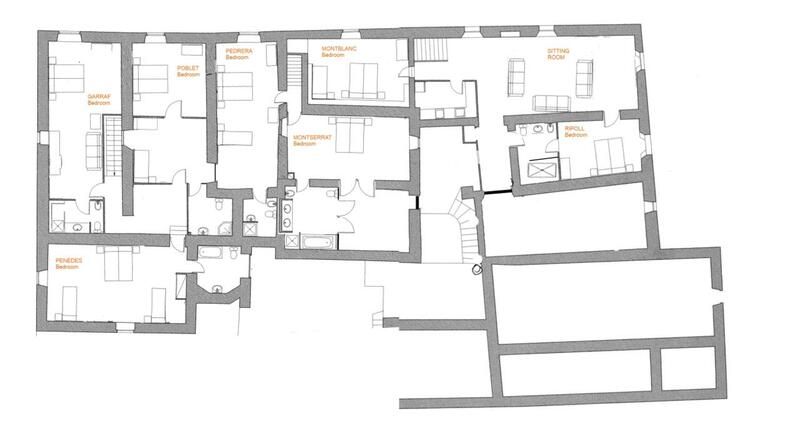 Two bathrooms located downstairs plus a downstairs lavatory. Children's books, 100s of DVDs, games and toys. High chair and two cots available upon request for a small fee. Swimming pool, barbecue and 4 separate outdoor seating areas. Dining area for alfresco dining. Fenced and heated swimming pool with lighting and loungers. Heated outside June to August when temperatures are above 15 degrees C. Bar by pool. Free parking on site for up to 7 cars. Parking in front of villa for 10 or more cars. Pets considered - please enquire. Near Sitges and Barcelona. Garraf Natural Park is nearby, and beaches. St Pere de Ribes: 1 mile. 30% to confirm reservation, remainder 6 weeks before arrival. Signed Booking form & copy of passport required. €1500 Refundable Security Deposit payable a week before your stay, held in PayPal, refunded within 7 working days. St Pere de Ribes: 1.5 miles. Barcelona El Prat Airport: 15 miles.